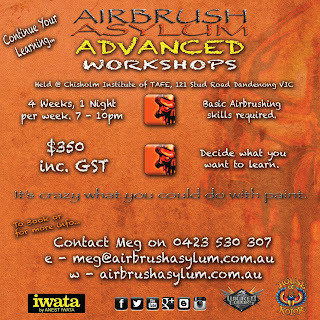 Airbrush Asylum: Airbrush Asylum ADVANCED airbrushing workshop Booking NOW. 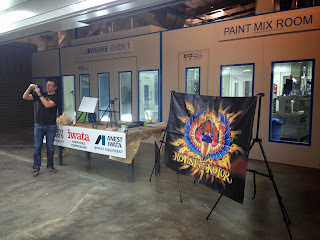 Airbrush Asylum ADVANCED airbrushing workshop Booking NOW. 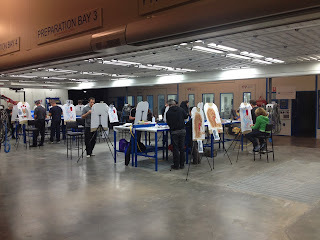 Have you already dabbled in airbrushing, maybe completed a competitors airbrushing course but still feel that you have a lot more to learn and you don't want to do the same thing over and over….? Then, enrol in one of our Advanced Airbrush Workshops, held at Chisholm TAFE in a newly built facility, you can continue your learning and work on what you wish to learn… Whether its a skull on a helmet, a design on a T-shirt or you would prefer to render an artwork on a Canvas then we can show you how.. 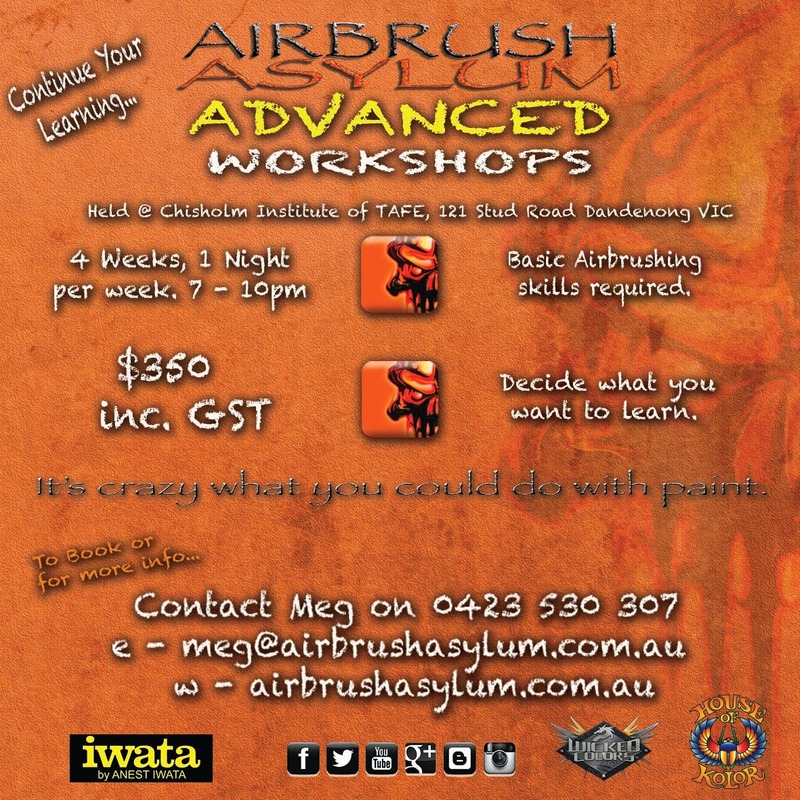 Contact us to reserve your spot (visa and master card payments accepted), email meg@airbrushasylum.com.au or visit our website www.airbrushasylum.com.au for more details.